If you are an internship finder interested in pursuing a career in nonprofit work, the following post has five opportunities to consider. College graduates who have not found entry level jobs to this point can do five things to use their time wisely. Learn what they are in the following post. Today’s post is about that awkward phase (no, not puberty) between graduation and the time when your job-in-shining-armor sweeps you off your feet! You all know how tempting it is to just be a bum and live off mom and dad forever, but yeah, not going to happen! Food for thought. Photo courtesy of Shutterstock. Both teens and parents do so much to prepare for college success ahead of time. Then when students finally get to college they spend so much time concentrating on doing well they might forget some easy tips and tricks to get ahead. 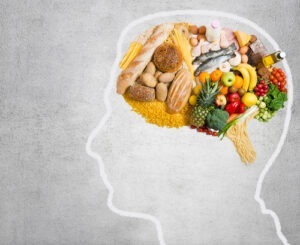 One such idea is to make sure to maintain a healthy diet full of foods that boost brain power. Learning which foods help us think clearer and better in college will help maintain a healthy lifestyle and a quick thinking brain for life. College recruiters can not only sell the reasons why prospective students should come to their schools, but also be a calming influence since the students are new to the college experience. The following post has advice recruiters (as well as students) can share with students anxious to attend college. As much as none of us may want to admit it, we are not superhumans. So, while working hard is part of your entry level job, don’t forget to take care of yourself. The following post has tips on creating work/life balance.